New Jersey’s coastal heritage is a proud one, with lighthouses playing a starring role. 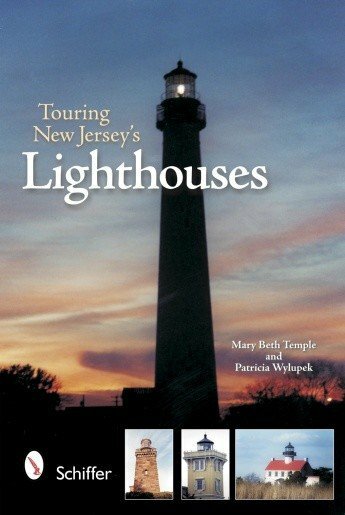 This book visits eleven lighthouses accessible to the public, exploring their history as proud community sentinels and guardians of sea traffic passing treacherous rocks and shoals. From the Sandy Hook lighthouse in the north — the nation’s oldest beacon — to popular tourist destination Cape May Point on the southern tip of the state, you can explore a great variety of styles, including the fortress-style Twin Lights, Victorian Gothic, and iron towers thrust into the sky. This is the perfect introductory tour, with a general history of lighthouses, and a thoroughly researched overview of the each light’s history and function. If you have already visited some or these lights, this book will serve as a great memento. If you’ have yet to discover these proud sentinels, this book will help you plan an adventure.